Outfitting a new golf shop, launching a new on-line booking system and even a new menu at their popular restaurant, Trevino’s, things have never looked brighter for Gold Creek Country Club. 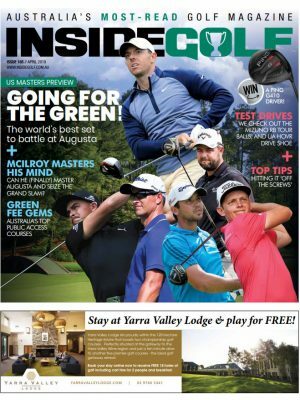 The Canberra club has now been part of the Troon International family, the leader in upscale golf course management; development and marketing, for the past six months and the results are evident. In fact, the club is still receiving high marks for the quality and speed of its greens along with delivering an extraordinary members’ and guests’ experience at its facility. 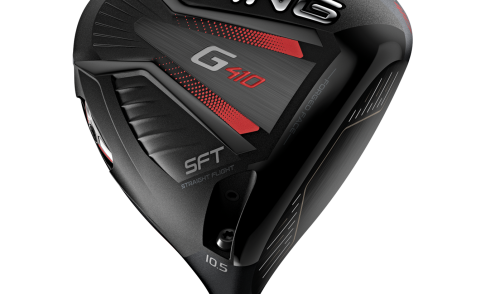 Now the club will unveil a new golf shop in early October, ideally situated at the main clubhouse, that will feature many major golf brands like Titleist, FootJoy and Under Armour. “We needed to create a better guest experience and it all starts with your arrival at the club and the golf shop,” says Troon’s General Manager for Gold Creek Country Club, Stephane Talbot. You can now book on-line via the website to get the “Best Available Rate” to play Gold Creek Country Club. It’s obvious why Canberra’s renowned Gungahlin Lakes has become a popular public access course, particularly in this winter weather when the trees are bare and golf becomes so much more than an enjoyable walk through parkland while chasing a little white ball. 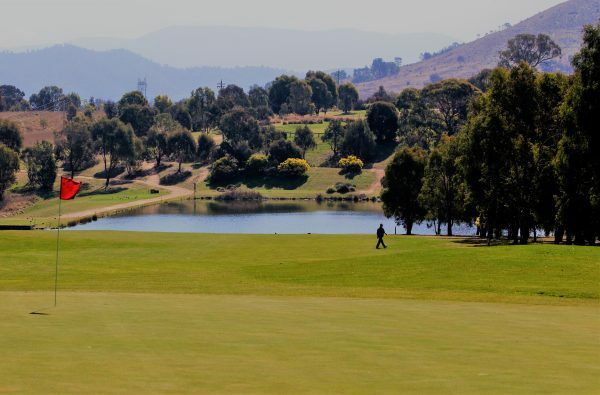 It costs just $29 on weekdays for 18 holes at Gungahlin Lakes while weekends and public holidays are still great value with 18 holes for a mere $39. You won’t do much better than that anywhere and to get access to such a marvellous layout with some spectacular holes is really a bonus. Clubhouse facilities offer superb views overlooking course and include bar, dining and functions of all types (weddings, corporate, luncheons and dinners). 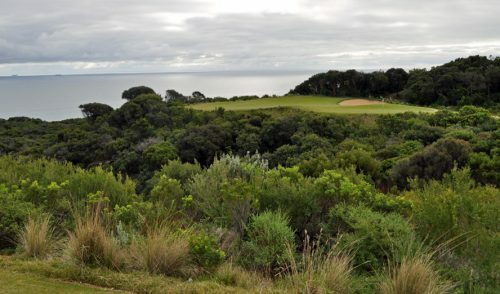 As its name suggests, the course features numerous water carries to fairways and greens throughout its par-72 6000m+ length. The 6119m blue course, par-72 championship layout is regarded by many as one of the more challenging courses in Canberra, while the women’s red course is a 5348m par-72. 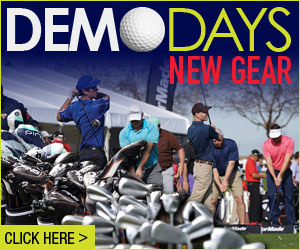 A yellow tee short course, beginner and senior friendly, is also available. 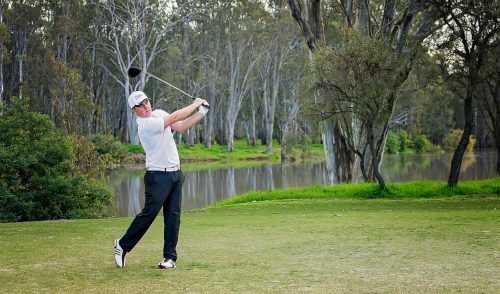 Murrumbidgee Country Club is among the most picturesque inland golf courses in Australia sitting beneath the spectacular backdrop of Brindabella Mountain Range. Measuring 6465m from the blue tees and 5900 from the red tees (Par 72), the course boasts a fantastic layout with enjoyable challenges for both the experienced and social golfer. 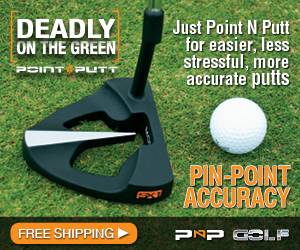 The club has great practice facilities with a full-size driving range, two putting greens, nets and a chipping green. 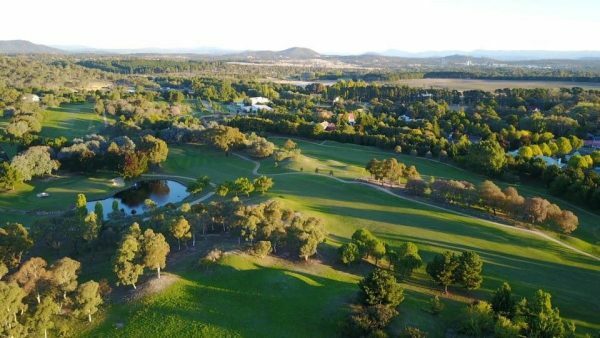 It is an easy-walking parkland-style course and definitely the hidden gem within Canberra region. The clubhouse is friendly and a great place for hot food, cold beer and a very warm reception. The course is just 15 minutes from the Canberra CBD where there is a multitude of other activities for family members of all ages. These include the National Zoo & Aquarium, Jamala Wildlife Lodge, Parliament House, the War Memorial and Questacon for the kids. Supplemented by a plethora of museums, galleries and markets. Membership is also very affordable with fortnightly payments available. Come in and see the General Manager, Ray Duncan and he will find a membership category that will suit your lifestyle. Karrara is a sophisticated and luxurious over-55s estate situated in Bowral, the heart of the Southern Highlands. Masterful design and modern luxury are uniquely embodied in each home with every detail carefully selected and quality crafted. Living spaces at Karrara are the focal point of each home, as the kitchen effortlessly flows into the dining and living areas providing a tranquil space to relax and unwind. Large sliding glass doors in the living areas showcase the private entertaining terraces and established gardens. Each home features a gourmet kitchen fitted with fine stone benchtops, soft-close drawers, and premium appliances. Opulent bathrooms feature stand-alone glass-encased showers, underfloor heating, and an optional soaking tub. The master bedrooms, complete with walk-in-robes and generous ensuites, invite comfort and exude modern elegance. Two storey homes at Highlands Golf Club are designed to live downstairs, with additional guest accommodation, rumpus room, and/or sitting a room upstairs. Estate Facilities: Karrara House provides the focal point of this unique living concept, incorporating a complete range of recreational and hobby facilities maintained for the exclusive use of the residents. 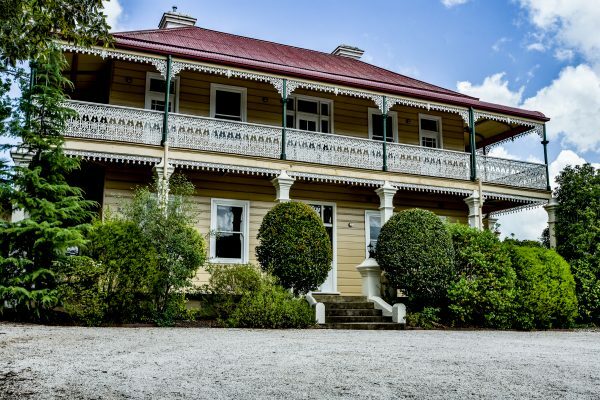 Featuring an indoor heated lap pool, grand billiard room, library, conservatory, gym, dining room, and opulent sitting rooms, Karrara House has everything to offer. Stage 2 is selling out, with Stages 3 & 4 now available. 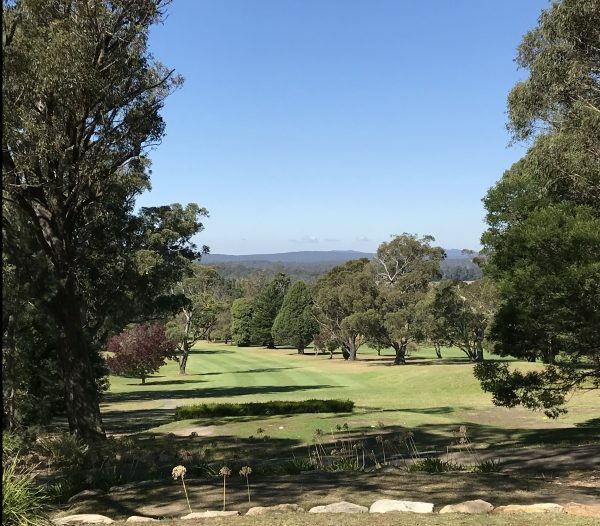 Just over an hour from Sydney Airport sits the beautiful Highlands Golf Club; built on the side of Mount Alexander Hill with majestic views overlooking the Southern Highlands towards Wollongong. The par-70 course is a challenging test for all golfers, but is also friendly enough to enjoy your round with many birdie opportunities available. The club has a rich and diverse history; the original 9-hole course opened in 1926. Carnegie Clark designed the course and was also the Club’s first professional. Early on, the greens were protected from wandering cattle by barbed wire. A breakaway group of members formed a new club and 9-hole course in 1933. With course upkeep organised on a voluntary basis, the idea of two clubs by 1940 was forgotten. The expansion to 18 holes was completed in 1974. After your round you can enjoy a cold refreshment on the balcony which overlooks the 18th hole, or tuck in to some of the best food in the Southern Highlands. Highlands is lucky to have a husband and wife team as their Head Professionals: James and Tegan Purcell of Purcell Golf run the Pro Shop and associated golf activities and also offer a range of Stay & Play packages for people wishing to visit the beautiful Southern Highlands. 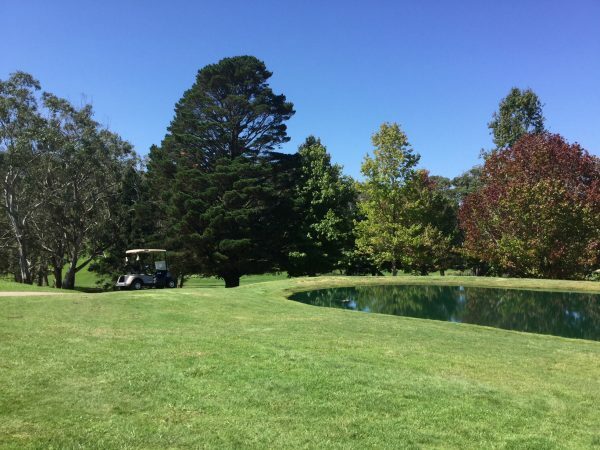 ONE of the most appealing things about playing golf and staying at the Gibraltar Hotel in Bowral is that you don’t have to spend all day getting there – if you live in Sydney, that is. This gem of a golf course, nestled in the middle of beautiful Southern Highlands, offers the perfect getaway and has Play and Stay packages that are hard to top. And all just over an hour from Sydney. Understated, elegant and luxurious, Gibraltar has it all: an 18-hole golf course, indulgent day spa, gym and indoor heated pool, San Fior Dining and Harvey’s Bar and deck. You can relax, play golf, be pampered and enjoy a drink; it’s a special place and you’ll want to linger a little longer. Modern and stylish, Gibraltar has rooms perfect for twin share and group accommodation. The course combines a challenging 18 holes with excellent practice facilities. Gibraltar can arrange a selection of competition and teaching activities and co-ordinate play at a range of nearby courses for golfing enthusiasts. Prizes and special presentations can also be provided for larger groups. Mid-week packages can cost as little as $549 for a two-night stay in a deluxe room or $769 for a three-night stay . . . as long as you book on-line. Your package includes: Accommodation in a deluxe suite; full buffet breakfast overlooking the golf course, free wi-fi, free in-house movies and unlimited golf, with a cart, during the duration of your stay. 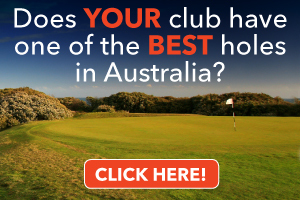 While enjoying your golf journey in Canberra, why not add a unique accommodation option to the trip, and experience the unforgettable? Jamala Wildlife Lodge is nestled within the grounds of one of Australia’s most interactive zoos, the National Zoo and Aquarium in Canberra. It boasts 18 luxurious 5-star, African lodge inspired rooms, set across 3 different accommodation precincts. 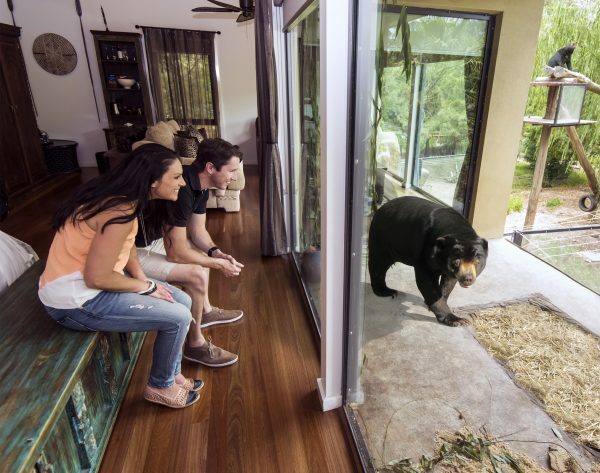 This luxury escape is specifically designed to get you up close and personal with some of the zoo’s best-known residents. Jamala recently beat all the top 5 star hotels and luxury lodges to win the Australian Hotel Association’s award for Best Deluxe Accommodation in Australia. Jamala Wildlife Lodge is an all-inclusive experience where guests are treated to behind-the-scenes zoo tours. They encounter some of its most popular residents, such as rhinos, lions, tigers, giraffes, monkeys and meerkats for an opportunity to connect with and learn about these incredible animals. Truly fine dining culinary offerings complete your lodge stay, featuring sunset canapés and drinks, a gourmet African-styled five-course dinner with fellow guests and a freshly prepared breakfast. These are all often accompanied by some very special visitors and are the perfect complement to this once in a lifetime accommodation adventure. uShaka Lodge: The cornerstone of Jamala Wildlife Lodge is uShaka Lodge, filled with stylish and luxurious furniture and African artefacts and artworks, whilst in the company of the curious and captivating Colobus Monkeys and the graceful inhabitants of the 200,000-litre shark tank. Jungle Bungalows: Guests can choose to spend the night within the habitats of some of the world’s most amazing animals. The Jungle Bungalows provide guests with the unique opportunity to bathe alongside Sun Bears, sleep next to a Lion, check out a Cheetah or admire a Tiger from the five-star comfort of their African inspired bungalow, as they get to know these beautiful creatures in the most personal and intimate way. Giraffe Treehouses: The six Giraffe Treehouse suites allow guests to mingle with the friendly animals which reside in a private garden setting in the Treehouse’s backyard. You can enjoy panoramic views of the Molonglo River from the front balcony while meeting and handfeeding the resident giraffe! Guests are invited to immerse themselves in one of the most unique experiences in the world and take on the thrill of a wild African safari, making it a truly remarkable accommodation experience.